Volvo's are safe, well engineered vehicles..The parts should be the same. Volvo humble beginnings and built to last Sweden’s harsh climate. Volvo started life in 1924 but the first vehicles didn’t hit the road till 1927. Founders Assar Gabrielsson and Gustav Larsen wanted to build a car that could withstand the harsh Swedish climate and roads. The name Volvo or “Volvere” in Latin stands for “I roll” and they certainly did. Only 280 cars were built the first year but they proved to be rugged and trustworthy. A Volvo tradition that lasts till today. Volvo sold 639 cars in 1930 and would not become well known outside of Sweden till after World War II. That was all about to change.. The Volvo 122 “Amazon” was one of Volvo’s first high production models. Over 667,000 were produced between 1956-1970. Regarded for its rugged nature and simple mechanics over 60% went to export markets such as the USA. Over 202,000 made it to the USA..
Volvo reaches out from Sweden to across the globe. Volvo’s first globally successful car model was the PV444 and later PV544. It was first introduced in 1943 but production stalled till after WWII. The PV444 would have two Volvo firsts. A four cylinder engine and “uni-body” construction. Its good looks was regarded as a ¾ scale 1941 Ford. The handsome good looks and its robust nature made it a sales success. The PV444/544 were replaced by the even more modern and produced 120 Series “Amazon’s” in 1956. Volvo would forge ahead with other models in the 1960’s, 1970’s and 1980’s like the 200 series and 700 series. These cars would propel Volvo from a cult car to one of the world’s favorite and sought after iconic makes. 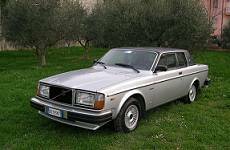 Volvo was also one of the first mass producer of “Turbo Charged” vehicles with the introduction of Turbo models in the late 1970’s. Volvo also promoted safety log before other makes even thought it. Volvo becomes a common sight on American roads. Volvo’s are common sights on American roads these days. No small part that Volvo till today makes an excellent product. Volvo as a corporation makes large trucks, marine engines and automobiles. It seems like the cars and SUV’s have a dedication from their owners that very few makes have. Volvo owners enjoy and cherish their cars like no other. .. With all that in mind your Volvo deserves the best in parts and knowledge that come from Euro Parts Direct parts professionals. Let Euro Parts Direct and our experienced sales staff be your first choice for quality parts for your Volvo.